The fight to ratify the UN Convention on the Rights of Persons with Disabilities (CRPD) is gearing up for another round, and we need every advocate ready. If you haven’t done so already, please sign and distribute the petition and ask every individual you know to do the same. If everyone shares this link, we can build an overwhelming number of signatures that cannot be ignored. Prepare your organization’s letter of support to the Senate Foreign Relations Committee. You can start fresh, brush up the letter you sent last year, or use the sample letter below to guide you as you craft your message. As soon as a hearing date is announced, we will begin a Letter Blitz in support of the Disability Treaty. Having your organization’s letter prepared will give us an advantage when the time to act comes quickly! [Insert your organization here] is writing in support of ratification of the Convention on the Rights of Persons with Disabilities (CRPD). 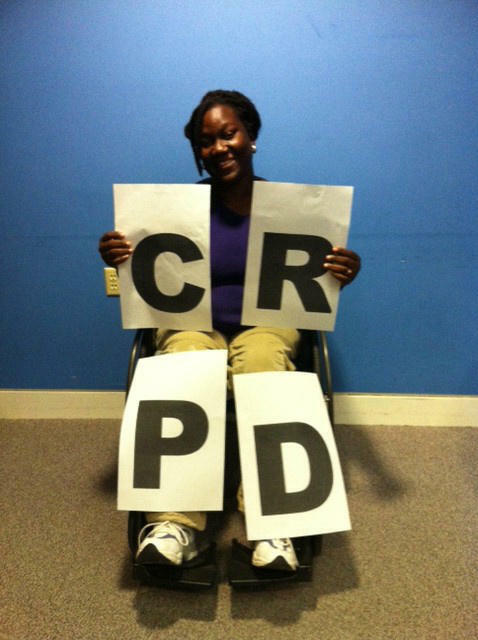 The CRPD is a non-discrimination treaty seeking to achieve the same goals as the Americans with Disabilities Act (ADA) and other existing disability laws in United States: to empower individuals with disabilities to achieve economic self-sufficiency, independent living, inclusion and integration into all aspects of society. The CRPD is important to all people with disabilities, including our veterans and service members with disabilities, as it embodies equal treatment and non-discrimination in access to rehabilitation, employment and educational opportunities. By ratifying the CRPD, the United States will continue to be a leader in setting the standards for ensuring the human rights of individuals with disabilities, as we have under the ADA, IDEA, etc. The Convention reflects core American values such as the dignity of the individual, access to justice, the importance of family decision-making and access to appropriate healthcare. Through these mechanisms, the United States can provide and influence guidance on the implementation of the treaty around the world and lend our expertise as more countries develop their own disability rights laws. Such leadership will not only further our nation’s vision for global human rights, but assist the millions of people with disabilities from the United States such as military veterans, students, scientists, tourists and business leaders, and their families who live, do business, and travel abroad. American citizens with disabilities should have the same opportunity to benefit from a world economy that is fully accessible to all people. [Insert your organization here] is committed to US leadership on behalf of the 1 billion people with disabilities worldwide. We believe swift US ratification of the CRPD in a bipartisan fashion is in this country’s best interest and we ask you for your support and leadership on this issue. If you have additional questions, please contact me at [insert e-mail], or [insert phone number].